← Incredible photos of Our Lady of Lourdes Statue going back up! Superior Scaffold was called in to assist with the renovations of the historic Strawbridge & Clothier building in downtown Philadelphia. 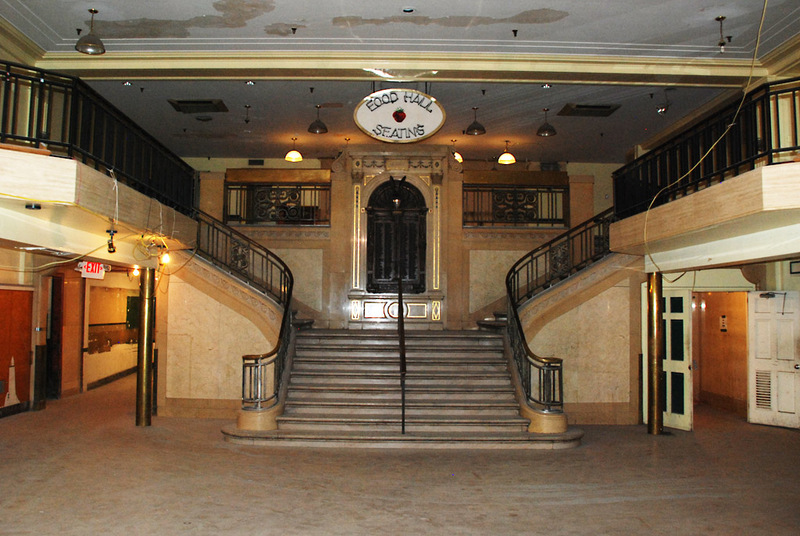 The 100 year-old building was once the worlds largest dry goods building. Over the years it has sat in disrepair until they decided to bring it back to it’s former glory. They new center will be home for 100 businesses as 1000 residential units. They are doing a superb job of keeping the old style while giving the new structure nice upgrades. The bank of 20 elevators, yes, I said 20 elevators, wow, are a glorious site to see, however, only 10 will remain in service. 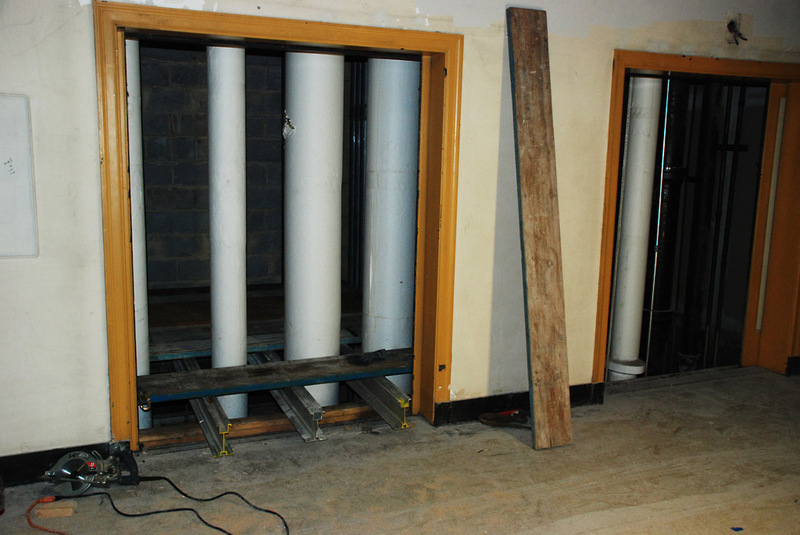 The other shafts will be used for vents, electrical, plumbing and other things. It’s really a smart use of space. Superior was called in to help assist crews working in the elevator shafts. 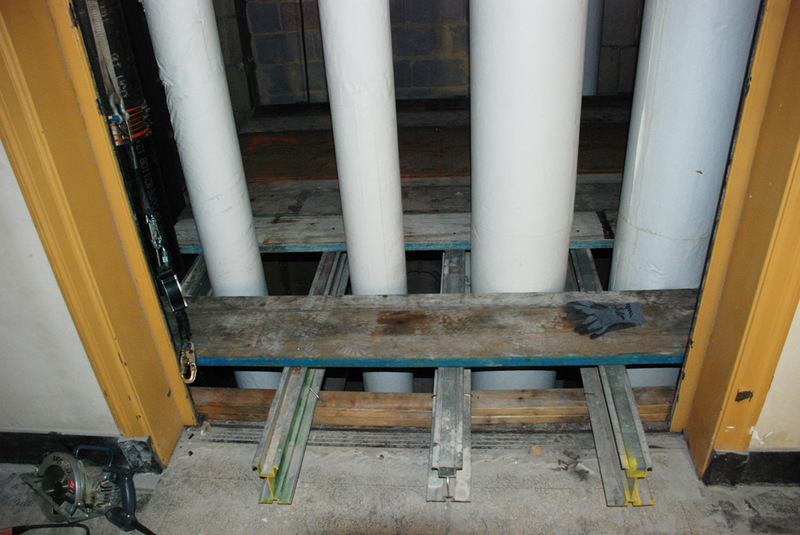 Aluminum beams were placed across the open shafts on specific floors and then planked so crews could work inside the actual shaft. The units were moved up each floor as needed. I just find it fascinating the ways crews can use scaffolding to access different parts of jobs, all kinds of jobs, large and small. Posted on April 18, 2012, in News & Updates and tagged (215) 423-2200, 520 East Luzerne Street, ABC, building, cbs, construction, cool, downtown, elevator, elevator shaft, facebook, famous, Fox, fun, green, historic, industrial, innovative, interior, NBC, News, PA 19124-4226, philadelphia, Philly, Rental, sales, scaffold, scaffolding, story, superiorscaffold.com, System, twitter, unique, youtube. Bookmark the permalink. 2 Comments. great pics, would like to see more of the interior as it is now if you have any. I will post some when we can get back in there. Thanks.